This recently decorated 4 bedroom/three bathroom house is located in the highly acclaimed Calabay Parc off of Hwy 27. Consisting of two Queen en-suite bedrooms and two twin bedrooms. 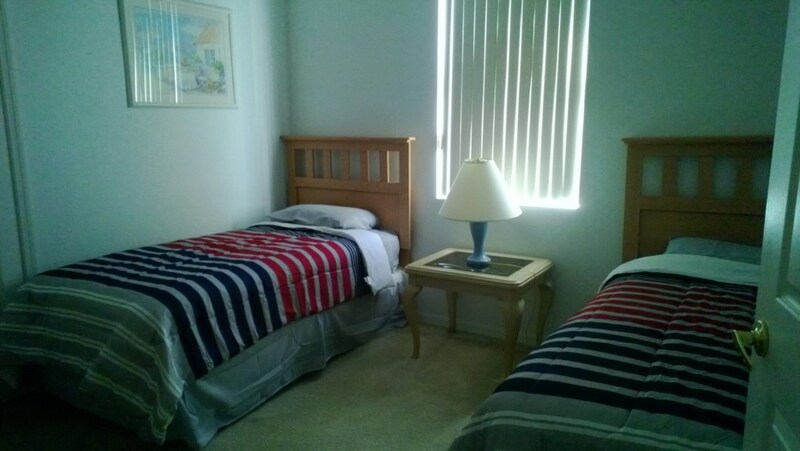 Both en-suites have TVs and access to the pool area which has a shaded lanai. The family room has TV & DVD. An open plan kitchen and dining area completes this superb villa in this beautiful sub-division.